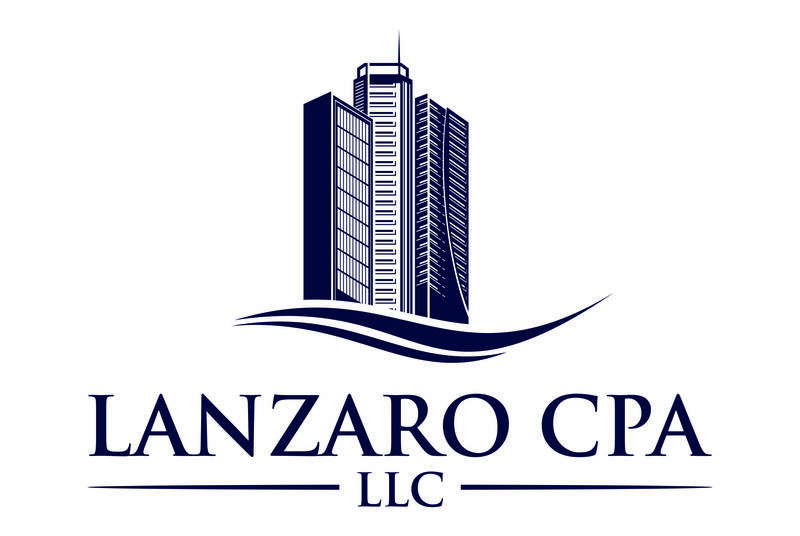 CPA Ted Lanzaro’s flagship system of tax minimization strategies for real estate investors who own rental properties. Available digitally (downloadable e-book, mp3 audio and tax tools) or via printed guide, 2 Audio CD’s and 1 “Tax Tools” CD. Both versions include the reports listed below. 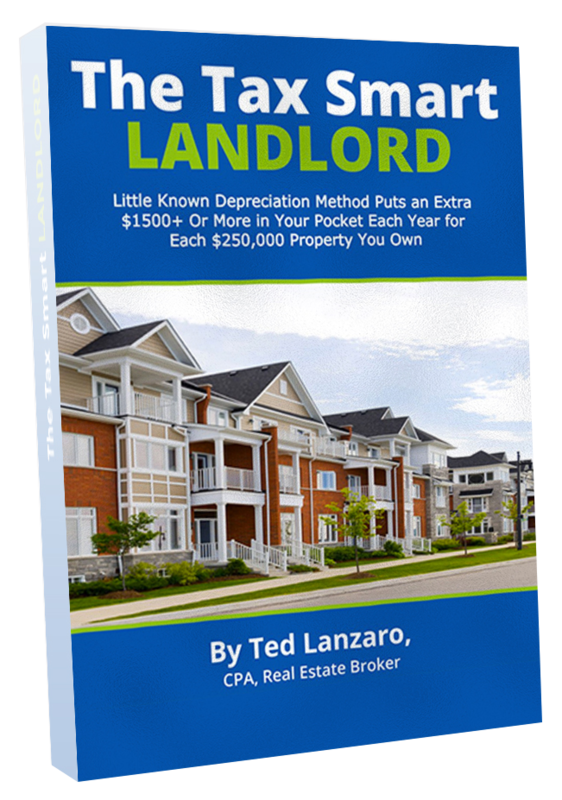 Ted Lanzaro’s special report on how to financially evaluate a rental property. This report shows you how to calculate net operating income, cash flow, capitalization rate, cash on cash return on investment and a variety of other financial ratios you need to accurately evaluate the investment potential of a rental property and includes a property evaluation spreadsheet that automatically calculates it all for you. 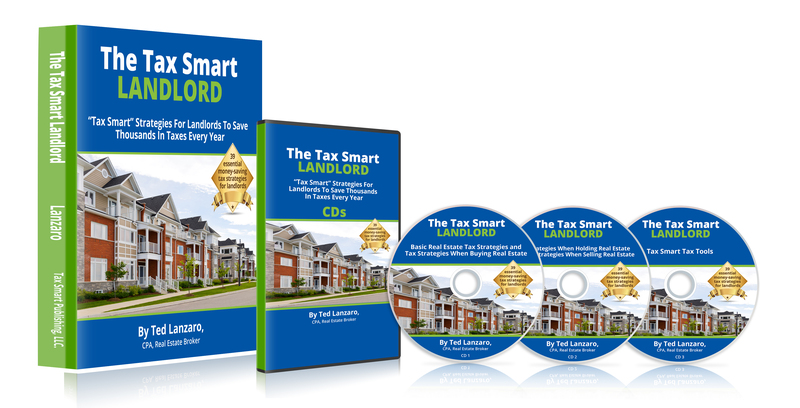 Ted Lanzaro’s special report on what you need to do before buying a rental property to protect yourself from unscrupulous sellers who will misrepresent the rental income, expenses, leases, and condition of a property. This report gives you a step by step checklist that will help prevent you from losing money due to buying a bad property and give you the knowledge to re-negotiate a purchase price if the seller’s pro-forma profit and loss statement turns out to be fraud. Ted Lanzaro’s special report on which entity to use to hold your rental properties and why. It includes comprehensive pros and cons on each entity type and what situations warrant using what entity type. This report will give you the knowledge you need to protect your rental properties from costly lawsuits and aggressive creditors. calculating the break-out of the 5 year depreciable property, 15-year depreciable property, building and land. Each spreadsheet includes a comprehensive list of building components that apply to that category of asset. All you do is count how many of each item there are in the property and assign a value to each item and the rest is done for you. This is an invaluable tool for all investors to have and a small investment will save you thousands every year.